The greatest sailors in the history of the world first sailed here. Now it’s your turn. 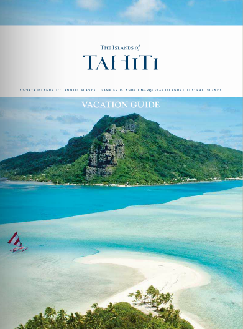 Follow the ancient Polynesian canoes and European tall ships and chart your own epic South Seas voyage to discover these fabled isles aboard your own yacht. 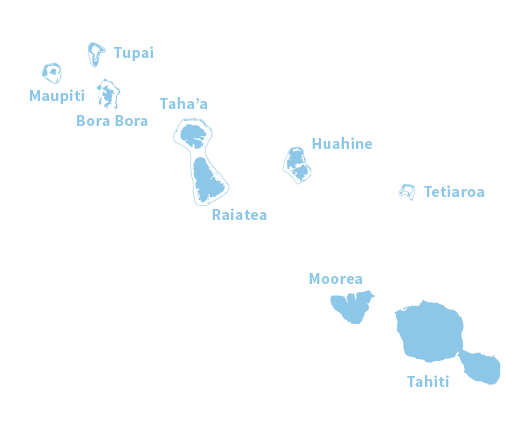 East-west trade winds make for generally easy navigating between the Society Islands and the Marquesas Islands, while a little more caution is required in the Tuamotu Islands, the Gambier Islands and the Austral Islands. 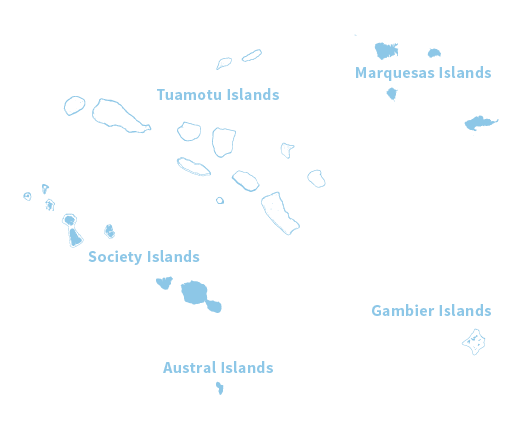 One of the Society Islands’ strong distinctive features is their location at an amphidromic point, or a tidal system where the tidal range is almost zero. Only the solar tide functions, but it is weak and occurs at the same time every day. The navigation beacons in the lagoons and at the entry of passes through coral reefs in the Society Islands are very efficient. These islands offer many mooring places and nautical facilities for a variety of boats and yachts. A wind known in Tahitian as the mara’amu blows between July and September, coming from the south-east and capable of reaching speeds of Force 6-7 (25-30 knots/40-60 kph/25-38 mph). This causes short and choppy seas, particularly in the channels between islands. Between December and February, a wind from the west can cause strong wind blows. 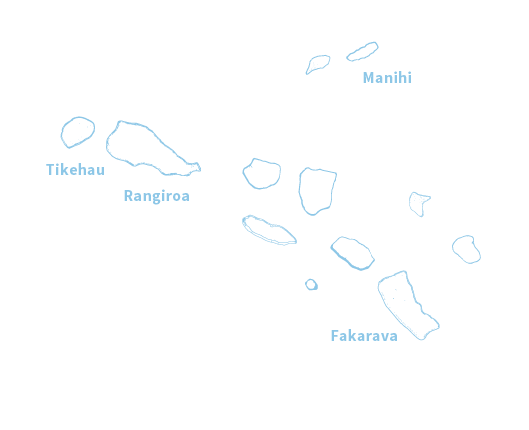 While these passes are wide and passable in all weather conditions in the Society Islands, with the exception of Maupiti in the leeward Islands, it is recommended that they be navigated when conditions are slack in the Tuamotu Islands, where there may be strong currents. In fact, these passes are not very deep and are exposed to strong swells, making them dangerous to navigate, particularly passes exposed to the south when there is a mara’amu, or strong southerly wind. The majority of the Society Islands have deep and sheltered bays. The exterior coral reefs are often bordered with vast expanses of white sand on the lagoon side, are not very deep, and are scattered with coral formations which make heavenly places to drop anchor. Renting a sailboat with or without a crew (for the more experienced sailors) remains one of the best ways to discover The Islands of Tahiti.The almost unlimited number of moorings and the navigational conditions make it a yachter’s paradise. The port of Papeete is the only international commercial port in French Polynesia. It is equipped with port facilities that can accommodate commercial and cruise ships as well as pleasure crafts and luxury yachts. Extensive renovations are under way in order to ensure comfortable and secure harbor installations for foreign sailors and the local population alike. 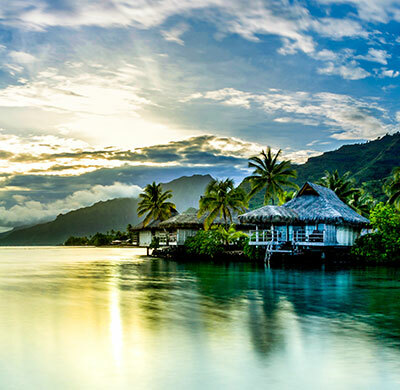 In Tahiti, Moorea, Raiatea (the main center for nautical activities) and Bora Bora, several marinas and nautical bases are available for pleasure boaters. Crewed sailing catamarans or monohulls sailing multiple islands with flexible itineraries. Crewed motorized yachts sailing multiple islands with flexible itineraries. Private cabins aboard a sailing catamarans or motorized yacht with fixed itinerary, on an all-incluse package to multiple islands. Captain of your own catamaran or monohull. Trade winds are predictable and weak to moderate most of the year. Inter-island sailing is short and voyages can include multiple islands and atolls. Virtually every island and atoll has an 80°F (27°C) neon-blue lagoon. Lagoons are calm and protected with many anchorages. Passes are wide, have weaker currents, and feature beacon systems. Supplies are easily found at island markets, marinas, shops and food stands of fisherman and farmers. 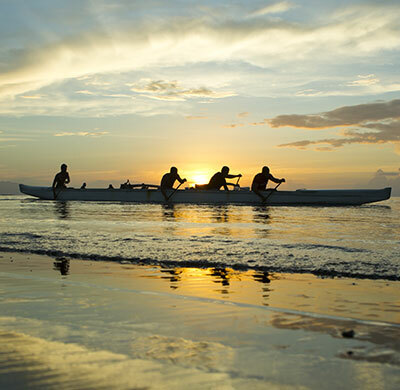 Safety is a part of the islands’ ocean culture with a permanent VHF maritime radio channel, daily meteorological reports, emergency services and medical evacuations. Choices among many expert charter companies. For more information, please visit our page Cruises & Sailing.